Whether it was spending hours pouring over her aunt's massive collection of Egyptian jewels, making pasta necklaces for her mom or adorning herself with costume jewelry, it was apparent from a young age that Molly had a passion for all things ornamental. She began by simply collecting pieces and by the time she was in high school, she was creating her own basic pieces out of whatever random materials she could find. The turning point came in college while earning a BFA in Graphic Design at SUNY Oswego in upstate NY. After getting closed out of every other elective she wanted, she discovered one called, “Metalsmithing & Jewelry Design.” After spending 4 weeks setting things on fire and hammering them to bits, she opted for a second class and a love of moving metal was born. She continued with her graphics degree, landing in Boston as an Advertising Art Director creating award winning national campaigns at some of the regions top agencies, all the while finding time to escape the hectic pace of her creative job by indulging in her other creative passion for metalwork. 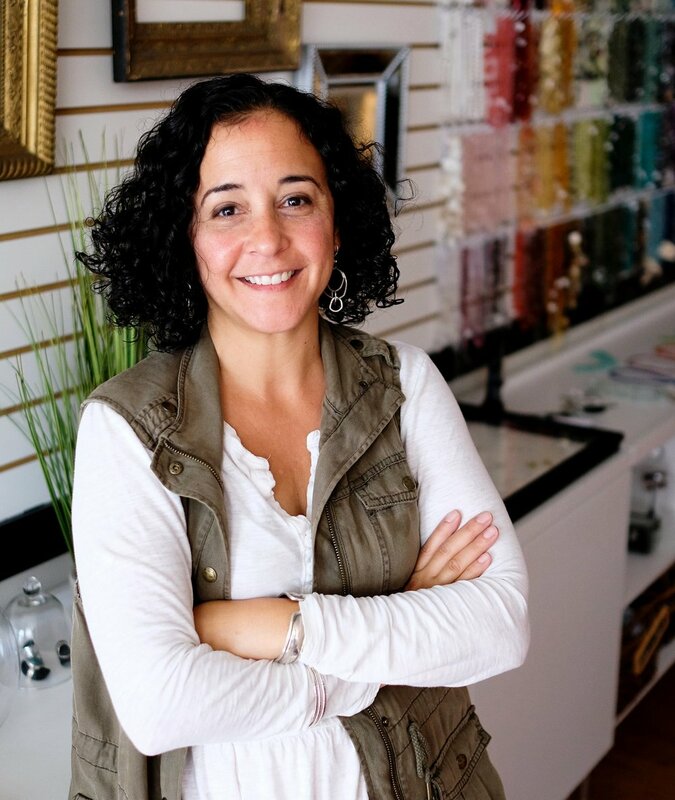 Through weekly adult classes and weekend workshops she honed her metalsmithing skills and now, after almost 20 years, she’s turned this lifelong love of jewelry into her second act, the inception of Morrison Mae Studio. Molly makes her home just north of Boston with her husband and two preteen daughters, who now make regular requests for custom pieces.